SKU: N/A. 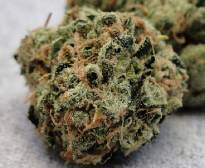 Tags: buy King Louie OG Indica, King Louie OG, King Louie OG Indica. Quality product and it’s free delivery. Such a great offer for Us. Thanks Pot valet. Feeling relaxed when i take this.. enjoying it much. The high was sedating but euphoric. A good strain for relaxing at home in the evening and for the treatment of moderate pain. Been smoking this for the past three days and I’ve been getting a really good night sleep. Delicious taste with a hint of dark sweet. I recommend for people who suffer from body tension and pain. Super strong like a tranquilliser dart hit you, Wonderful !!!!! Best strain i have smoked by far. Great quality, fully satisfied with this product. King Louie OG Indica is really super product. Gives you a warm mellow happy high, and lets your mind wonder a bit. Lot of thanks King Louie OG Indica. I was suffering muscle spasms, nausea, anxiety. But now I’m free from these.